The Point Pleasant Sternwheel Regatta wrapped up on Saturday night after a busy day of activities for the entire family. Pictured is Regatta Parade Marshal PFC Baron Epling, II, the youngest member of American Legion Post #23 and a member of the Mason-Gallia-Meigs Marine Corps League. 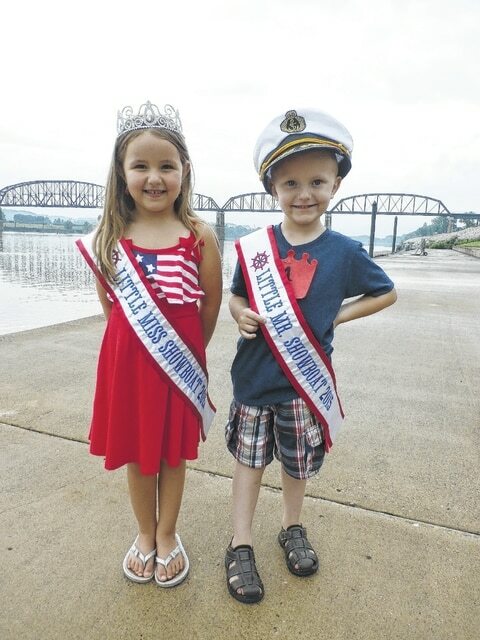 Also pictured, the regatta’s youngest royals Little Miss Showboat Kinzy Arbogast and Little Mr. Showboat Elijah Hall. More photos from this year’s regatta appear inside this edition.